The world’s most colorful festival ‘Holi’ is just round the corner and this time, quite interestingly, a long weekend follows. 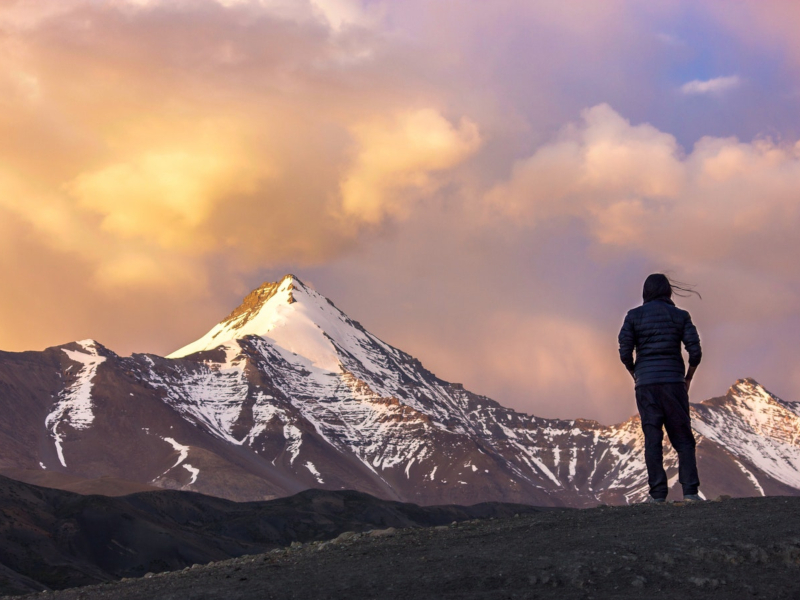 Surely many of you will be planning to call upon your loved ones or convert this into an enjoyable getaway to a place you’ve been yearning to visit for a long. To add some more color to your already colorful plan, your favorite app RailYatri has come up with a brand new offer. Now book your Train Ticket on RailYatri using your MasterCard Debit or Credit Card and we will give you a discount voucher which will give you a straight 10% or max Rs.100 off on your next transaction via RailYatri. 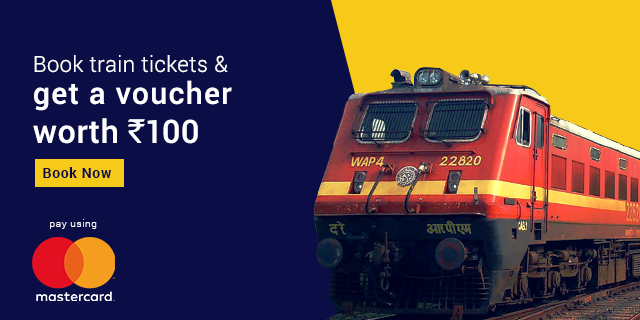 The voucher can be applicable across all RailYatri Services. One customer can accumulate upto 2 vouchers per month, each voucher’s validity being 90 days from the date of issue. RailYatri will be issuing these vouchers after carrying out a verification process via SMS and push notification. This may take up to 48 hours. Now that’s something you wouldn’t want to miss out on. 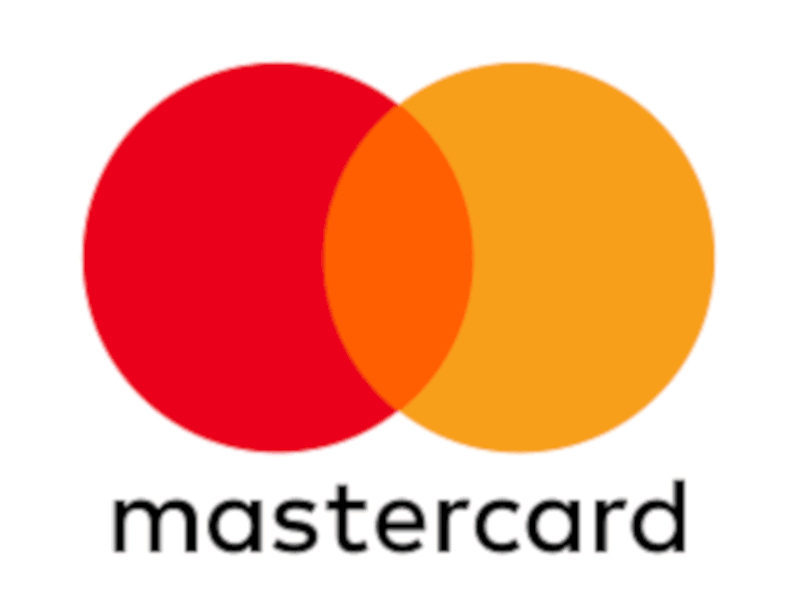 So book your next train ticket via RailYatri using your MasterCard Debit or Credit Card now and grab your voucher! Holi is all about colors, getting wet, enjoying the festivities, good food, travel and a whole lot of fun. The festival is just round the corner and this year it is followed by a long weekend (assuming most of you won’t be in a mood to go to your office the day following Holi). While many of you staying away from your families will call upon your loved ones, for many others, it is an opportunity for a quick getaway. To pep up your festivities a little further, we’re hosting a Cashback Carnival wherein you stand a chance to win Rs.1000 Cashback when you make your maiden transaction of at least Rs.500 using PayPal. Rs.1000, now that’s something! > We will have the sole discretion to discontinue the offers at any given time. 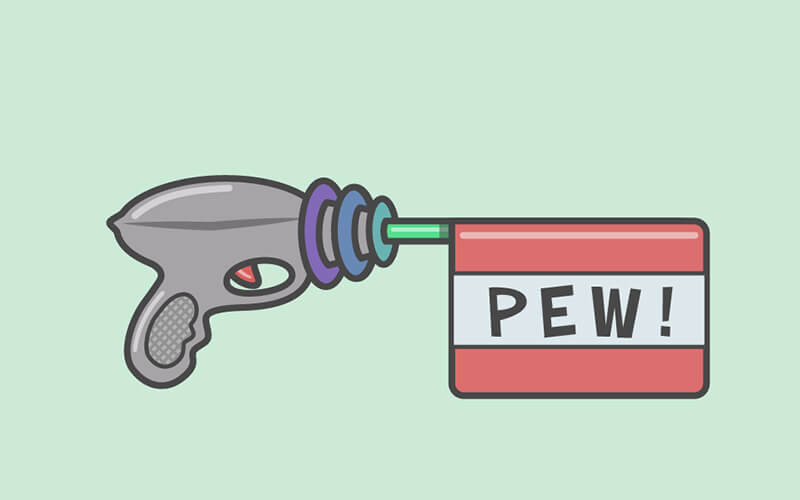 Got’em? 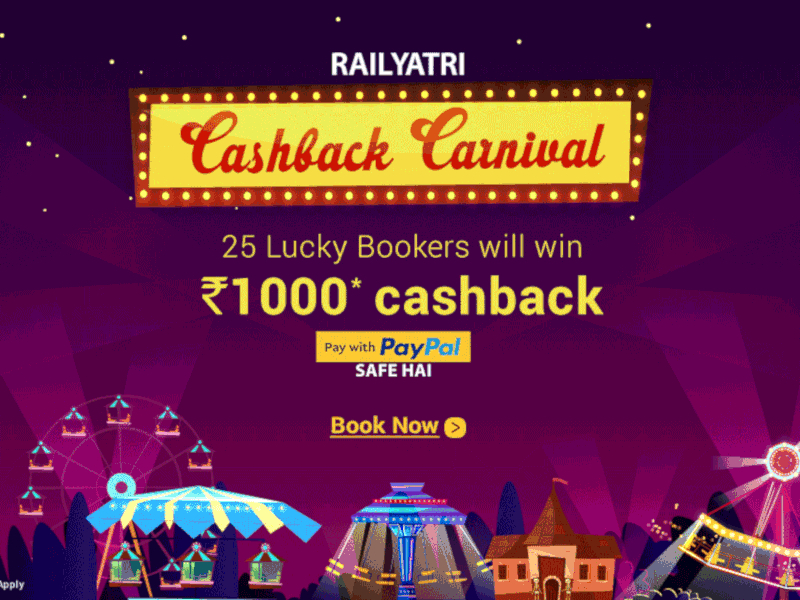 So now go booking on RailYatri! Someone aptly said, “Travel is a gift you give to yourself”, and we thought Women’s Day is a perfect occasion to pay an ode to the real architects of our society. To ensure that our women travelers don’t miss out gifting themselves this ‘gift’ of travel, we at RailYatri have vowed to bear 30% (Up to Rs.250) of your total train ticket cost. Simply use code: WOMAN and enjoy 30% (up to Rs.250) cashback on a minimum ticket value of Rs.500. So quickly book yourself a ticket to a destination you’ve been longing to travel and make this Women’s Day your best one yet. Undoubtedly there are miles to go, but at this moment, we’re elated! 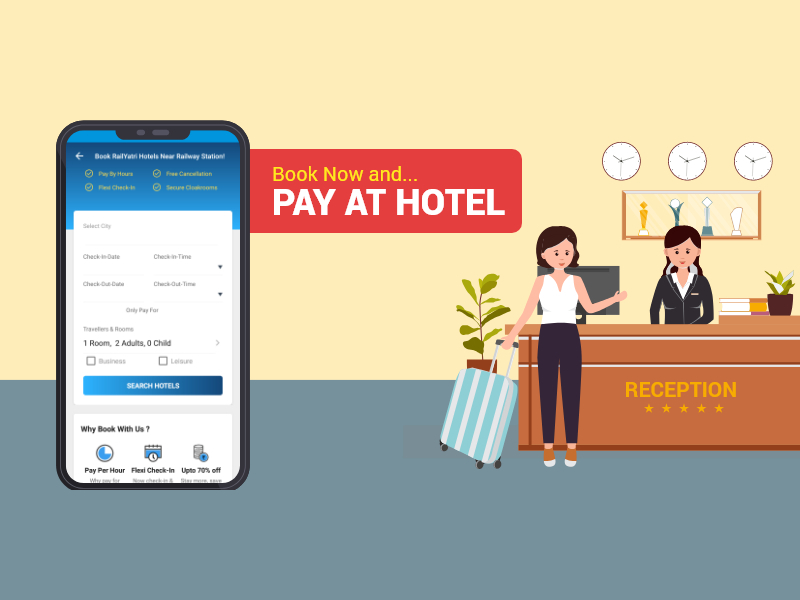 So, keeping up with the tradition to make sure you don’t go back without a grin whenever you travel with us, your favourite app – RailYatri has recently launched first of it’s kind service – ‘Pay At Hotel’. 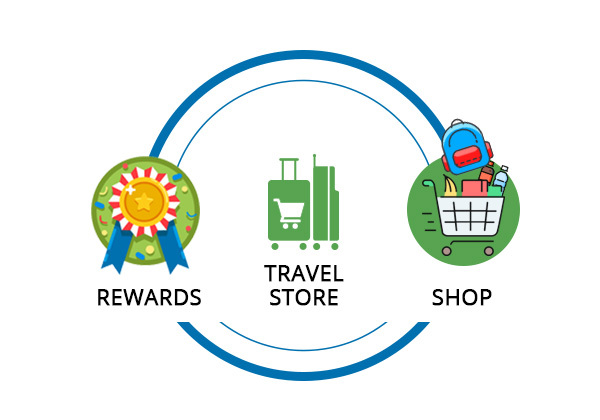 Once the customer arrives at a decision, he makes the payment for the room (assuming that an advance payment is a guarantee of good service) and reaches the hotel as planned. And here’s when he faces the harsh reality. This wasn’t the room I paid for – it looked so plush, a comfortable double bed, clean washrooms and spider web? There was no sign of it in any picture. Aargh! 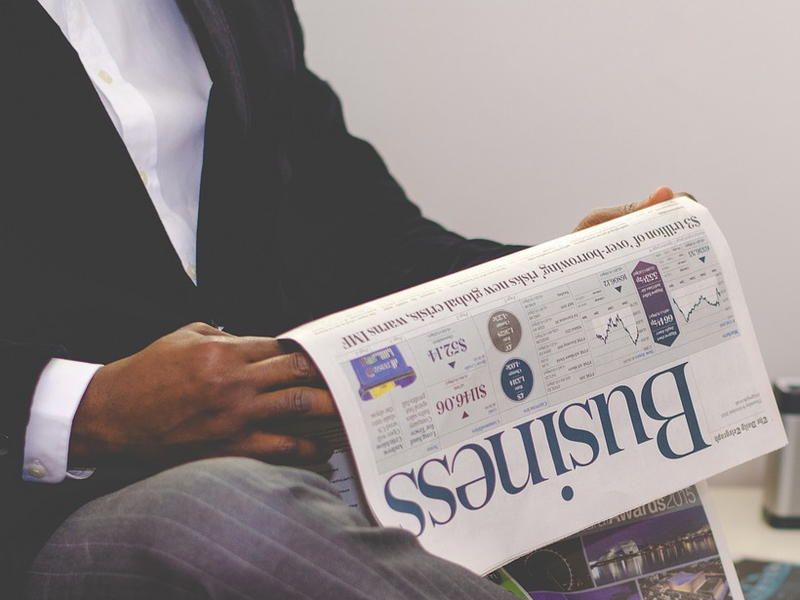 Let’s accept – There’s a gaping hole between user expectations and the ground reality. On most occasions, customers find the location and amenities are totally contradicting the images, description, reviews and videos posted on various travel portals. (2) Cancel their booking and get penalized without any fault, meaning – get content with a 30%, 50% or no refund at all. Pay At Hotel – The Magic Potion! This service has the best of both worlds – online, as well as offline. As the name suggests, RailYatri customers can now book hotel(s) from the comforts of their homes and upon reaching the property, check their room(s) in person, assess the amenities and pay once they’re completely satisfied. 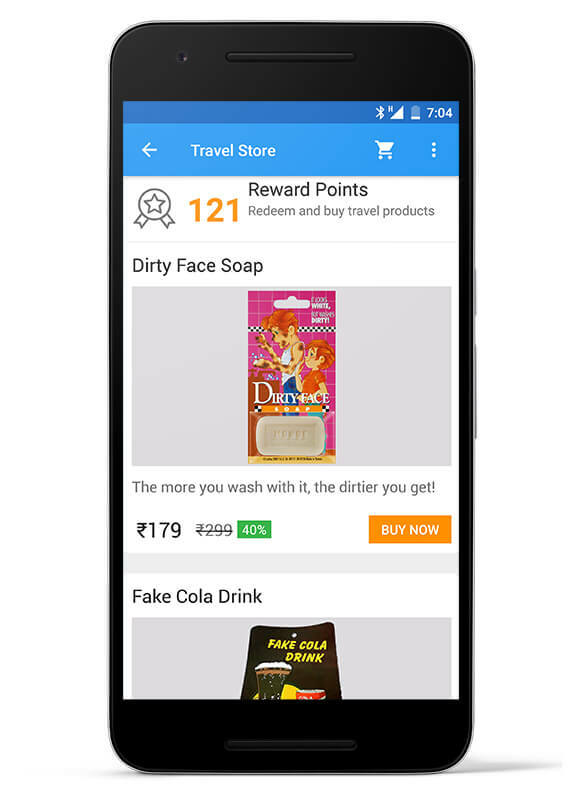 “We wanted to make sure there is complete transparency as we understand the value of hard earned money of our customers,” adds Manish. (3) Enter some basic details – check-in & check-out date and time, type of room, etc. (4) Hit the ‘Book’ button and you’re done! Reach out to us on feedback@railyatri.in in case you have any queries. 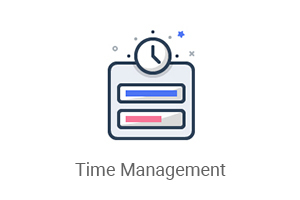 We promise we will get back to you within 24-48 working hours after receiving your mail. Drumroll! 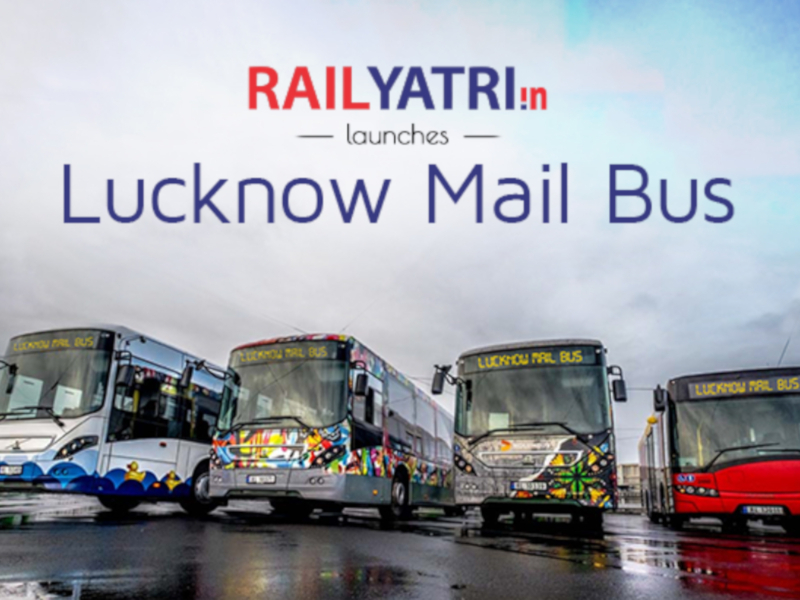 Lucknow Mail, The Smart Bus is Here! 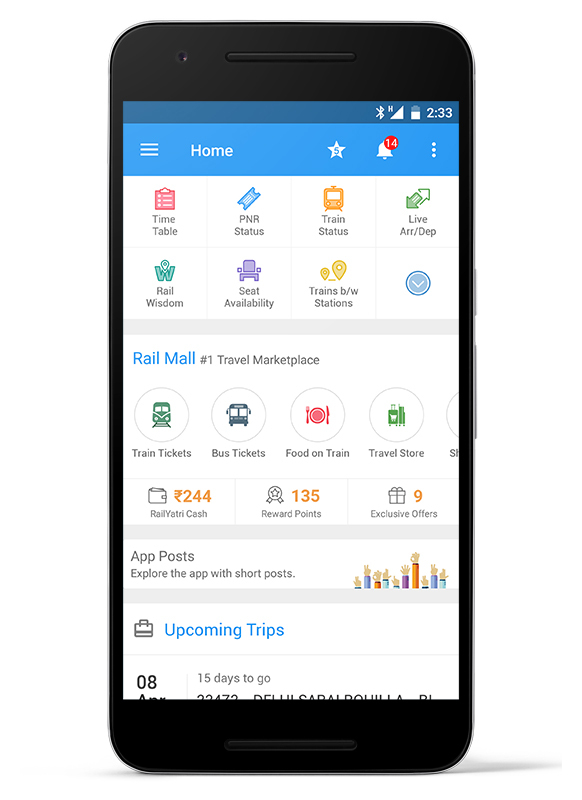 Your favourite travel app RailYatri has launched the much awaited, first of its kind Smart Bus service. The first smart bus, called the ‘Lucknow Mail’ has already kick-started operations between Delhi and Lucknow making bus travellers’ journey superbly comfortable and intuitive. In our bid to make sure the passengers do not face any hassles during their bus journey, each and every crew member has been diligently picked after a thorough background check. Moreover, amenities such as free WiFi, mineral water, clean blankets and in-bus entertainment are sure to make our patrons’ experience nothing less than a 5-star treat on wheels. To make travel, especially for women, children and the elderly more congenial, the bus comes with attached toilets. Safety features such as live GPS tracker and CCTV cameras are sure to give a boost of confidence to our valued customers. In addition to this, RailYatri is also extending a never before on-time arrival guarantee which comes with a clause of 50% refund if the bus gets delayed by over 30 minutes. RailYatri will soon be launching the ‘Smart Bus’ service on a number of other routes, so you keep watching this space for many more ‘smart’ updates! RY Cancellation Cover – Know Everything Here! 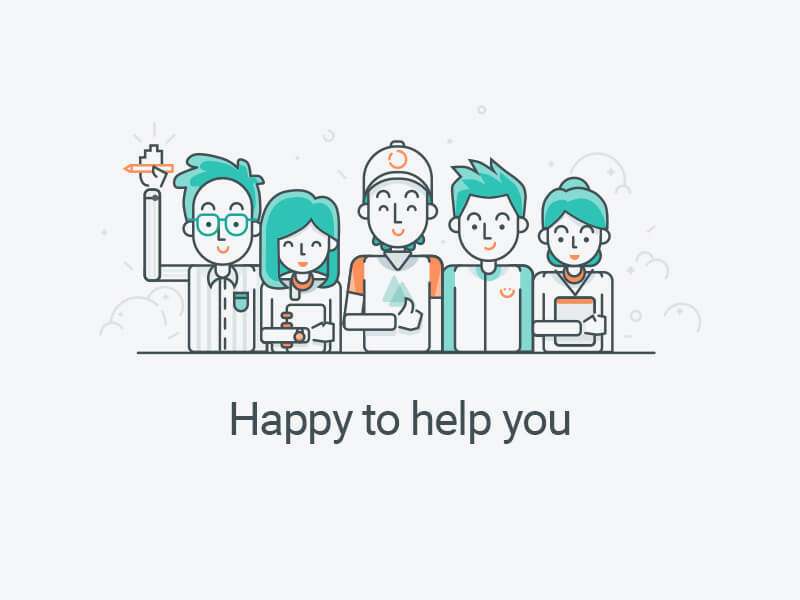 In just a few days of launching RY Cancellation Cover, we’ve already received plenty of e-mails from our valuable customers showering their love and appreciation towards this new feature. 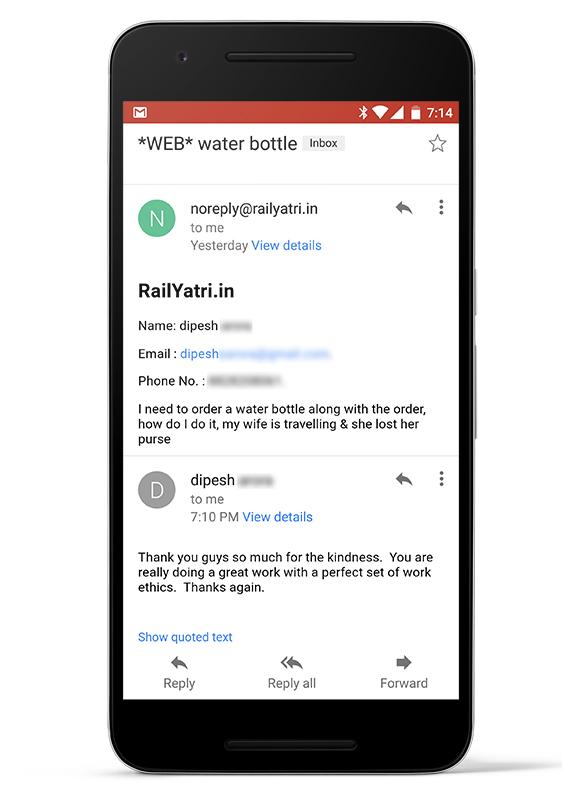 While most of you have sent good wishes, we have also received many queries about this brand new feature, which is a fair ask, provided it is one of the first of it’s kind feature on your favourite app – RailYatri. Q. What is RY Cancellation Cover? A. As the name suggests, it is a unique, never seen, never heard before flight-like ‘ticket cancellation’ cover by which the customers can insure their entire ticket price and in the event of cancellation, claim 100% refund of their money. 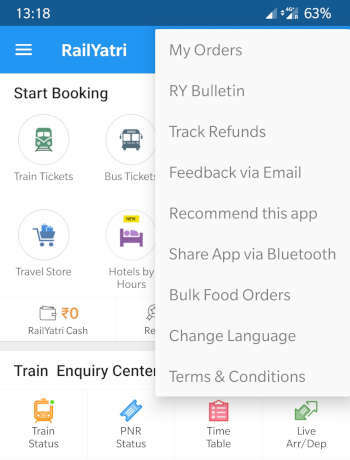 Your favourite app – RailYatri joined hands with Edelweiss and after months of hard work, studying user behaviour, in-depth risk analysis and detailed study of the raw data, carefully crafted RY Cancellation Cover to make sure that it is financially viable and genuinely useful for more than 24 million train travellers who use RailYatri everyday. Q. Do I have to pay anything extra to get RY Cancellation Cover? A. 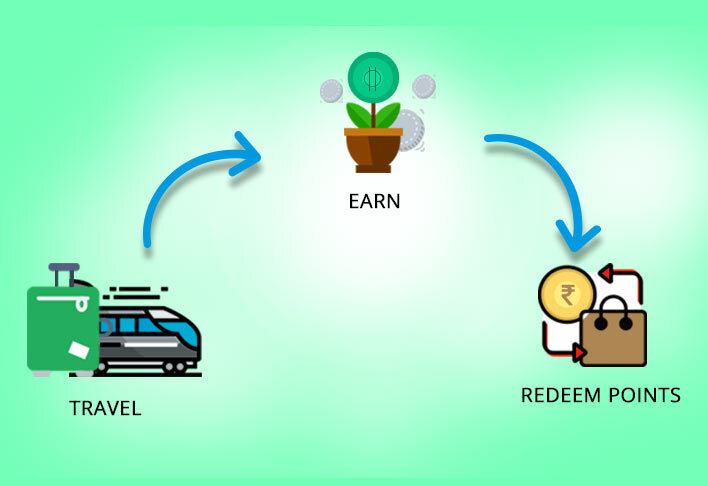 Yes, like every good thing comes for a price, this too is a paid service whereby you will have to spend a little extra amount as premium, over and above your train ticket price. Q. How is the premium calculated? Is it fixed? Q. 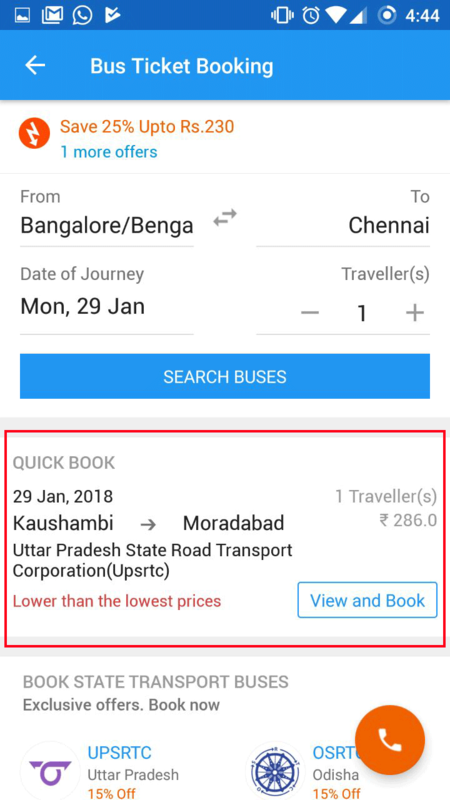 Is it auto-included in the train ticket price? A. No. We always want our customers to be well aware, and well informed before making a decision to spend their hard earned money, even if it is for any additional, best of the best services offered by us. 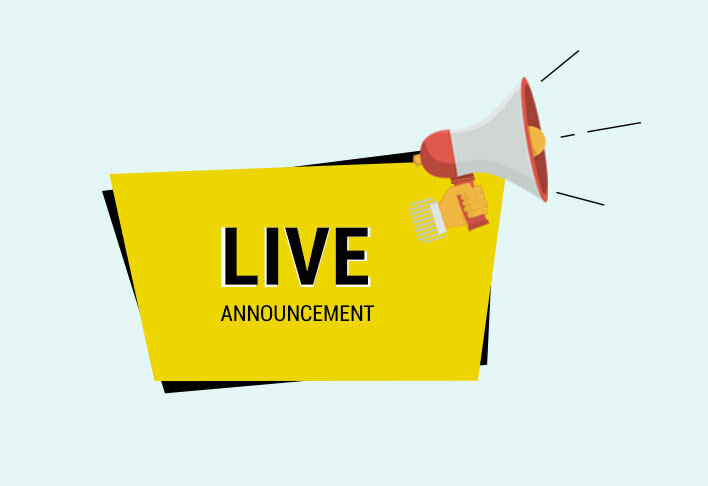 At the time of checkout, we encourage our customers to make a conscious decision whether they wish to make an RY Cancellation Covered booking or not. A detailed calculation of the applicable premium and total payable amount is also shown for a complete clarity. Q. Is there a minimum time to cancel my ticket(s) to get complete refund? A. Yes. Customers can get a 100% refund if they cancel their train ticket(s) up-to 12 hours before the scheduled departure time of the train. Giving utmost priority to your convenience, we’ve made sure that you’re completely covered even if you decide to cancel with not even 24 hours left for the departure of your train. While we have tried to answer most of the common questions here, you can still write in to us on feedback@railyatri.in in case you have any further queries. We promise we will get back to you within 24-48 working hours after receiving your mail. Yes, you read that right! Since we added Hindi (हिंदी), Marathi (मराठी), Bengali (বাংলা) and Gujarati (ગુજ્રાતી) just a couple of weeks back, RailYatri fans from across the country have been thronging our inbox, as always, asking for ‘a little more’. Since your ‘wish’ is our ‘command’, our research, content and tech teams worked hard, really hard to make sure we don’t disappoint you. 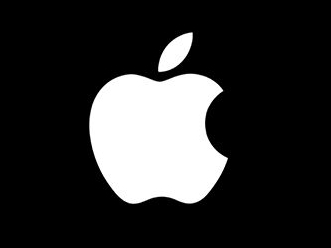 So…your favourite app is now available in 4 more languages! 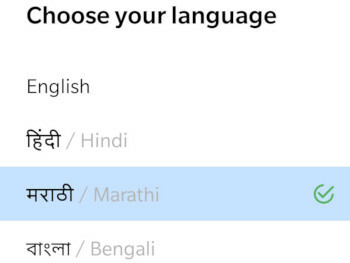 With the addition of the above, users can access RailYatri in total 9 languages, others being English, Hindi (हिंदी), Marathi (मराठी), Bengali (বাংলা) and Gujarati (ગુજ્રાતી). At RailYatri, we’re always yearning to bring a smile on your face each time you drop by. We hope you’re smiling right now! It is often very hard for all of us to understand Indian Railways’ rules around ticket cancellation, especially the refund bit as it depends on multiple factors such as class in which one is travelling, ticket status, cancellation period, besides numerous others. All this adds to the anxiety of the already anxious, sparsely informed train traveller who often overbooks, or books months before the travel date to avoid last minute rush because of a skewed supply-demand ratio. In fact many of you reached out to us with your grievances, some even boarding a train with a wait listed ticket that actually stands cancelled. Understanding there was a clear need to address this at priority, we joined hands with Edelweiss – the experts of this domain for many years. After months of hard work, studying user behaviour, in-depth risk analysis and detailed study of the raw data, we coined the ‘RY Cancellation Cover’ by which our customers can get a 100% refund if they cancel their train ticket(s) up-to 12 hours before the scheduled departure time. RY Cancellation Cover has been carefully crafted to ensure it is financially viable and genuinely useful for the end user, that is you. In fact, for the very first time, a train traveller will have this privilege while booking, hitherto limited to only airline industry. In case you’re train tripping and have missed ordering your food 60 minutes before reaching the station, you still have a reason to rejoice. Q. What is Express Delivery? A. Express Delivery, as the name suggests is a specially designed module by which our restaurant partners deliver some selected dishes to you within 30 minutes of receiving your order. 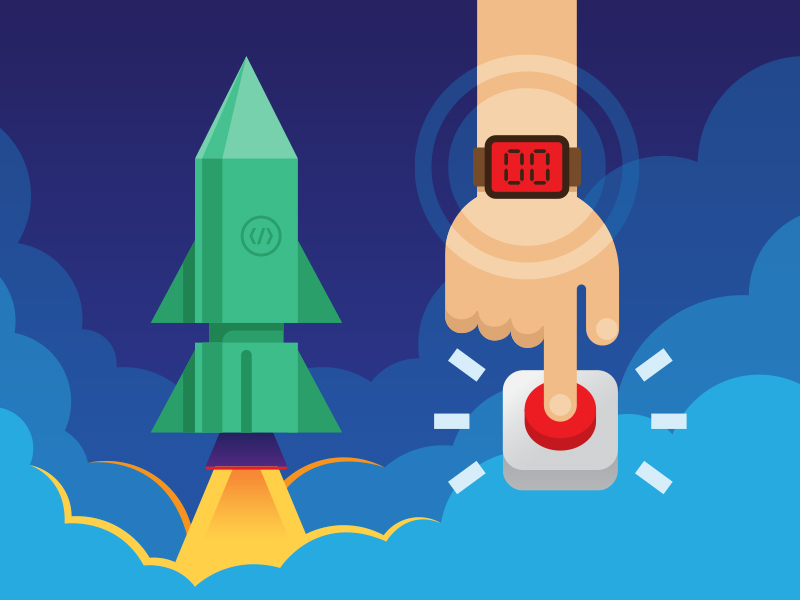 Over the past couple of years, we’ve heard numerous incidents where users either forgot to place their order 60 minutes before reaching a selected station, or missed ordering because of one reason or the other. 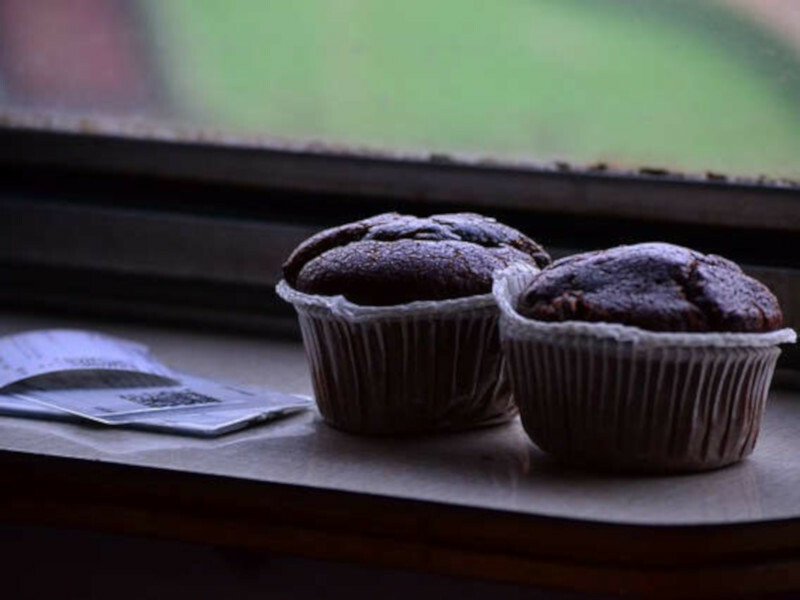 Eventually, they ended up consuming unhygienic station or train food, or deciding to remain empty stomach for hours before they found warm, healthy and hygienic food. Q. Can I order anything and everything via Express Delivery? A. Not everything, but anything which our restaurant partners can promise and deliver hot and fresh within 30 minutes of receiving your order. Most of our restaurant partners express deliver food. 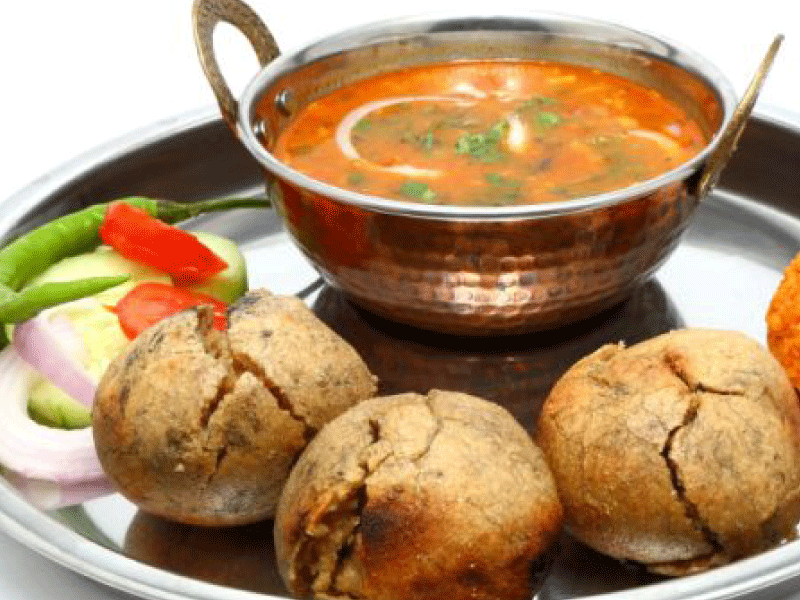 They have a special, carefully curated ‘Express Menu’ which has a gamut of options from quick-byte items like snacks & sandwiches to sumptuous thalis and combos. All you have to do is – add your favourite ‘Express Delivery’ dish from the menu to your cart and pay using one of the many payment options. It’s that simple, but don’t forget the 30 minute rule coz we’ll hate to see you remain empty stomach for too long. Q. Do Express Delivery restaurants also cater to normal orders? A. Certainly, most of your express delivery kitchens take normal orders. Place your order at least an hour before your train’s arrival time at the selected station. Q. Do I have to pay anything extra to avail this service? A. We leave some decisions to our restaurant partners’ wisdom. You may have to shell out a negligible amount as express delivery charges when you order from some of our restaurant partners. Nevertheless, we will try to make up for the same by offering an unmatched, yummilicious dining experience right on your seat! 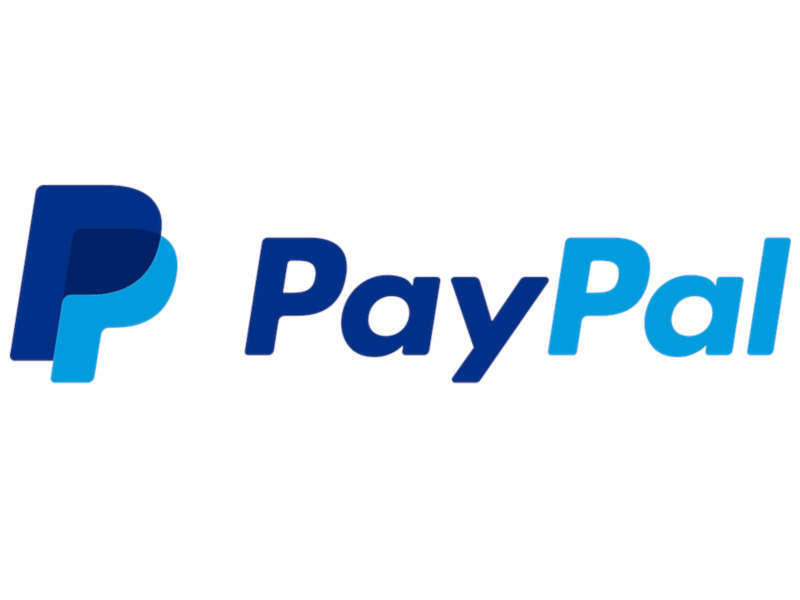 Presenting PayPal for the ‘International’ RailYatris! Over the past 4 years, we’ve grown from being an information only portal to one of the most coveted e-travel stores in India. 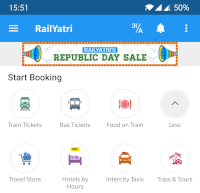 Currently helping more than 24 million train travellers plan their train and road (bus & taxi) journeys smartly, we always aim to give our customers a ‘little more’, every time they shop on RailYatri. With a surge in the number of NRIs and Foreign expats who travel to India to travel across India, we realized it is time we introduce a specialized digital payments platform which enables our users to transact swiftly, securely and safely, whether they are online, on mobile or in app. 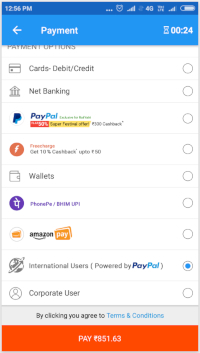 You can now easily book your, or your loved ones’ train tickets using PayPal, making your shopping experience with us that much easier, and know what? We’re chuffed to bits! 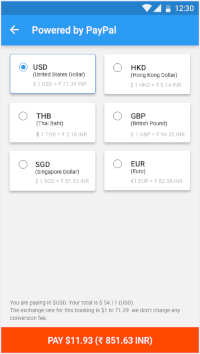 2) Opt the currency you wish to use to make your payment and proceed. Over the past few years, we have garnered immense love from all sections of the society. Starting as an e-information center a few years back, today we are serving millions of travellers across India by helping them plan their train and road (bus and taxi) journeys smartly. 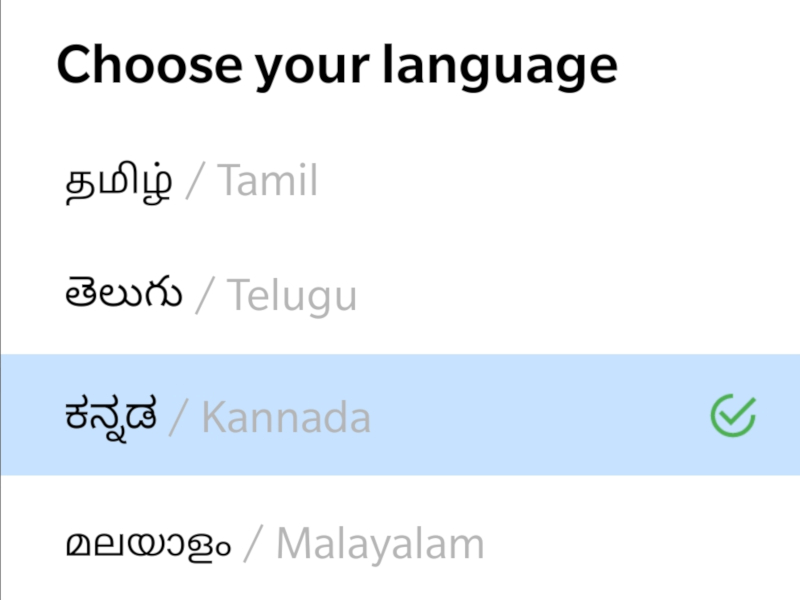 In our bid to keep innovating and give our users ‘a little more’, every time they drop by, we’ve just added a multi-language feature to RailYatri as it is always good to speak the language you want your app to speak, so that we can connect better and share a little extra love. 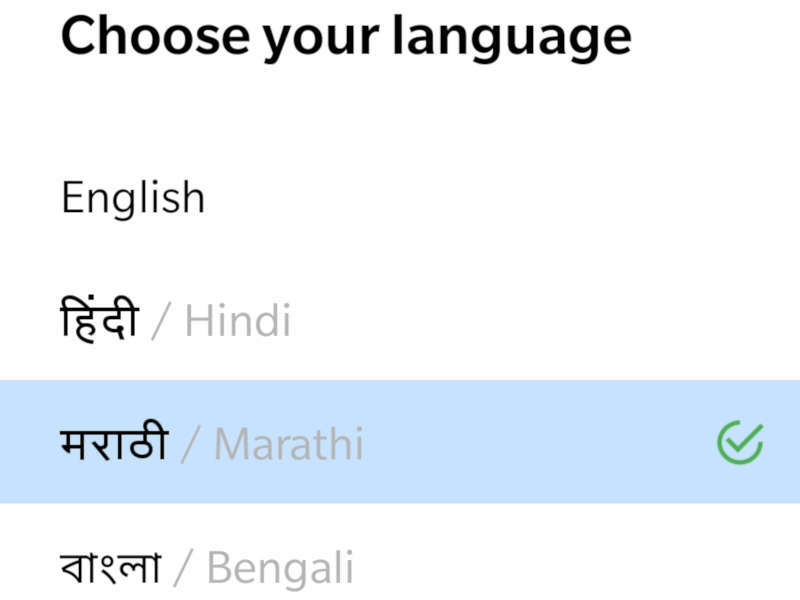 We’re happy to announce that RailYatri is now available in Hindi (हिंदी), Marathi (मराठी), Bengali (বাংলা) and Gujarati (ગુજ્રાતી). 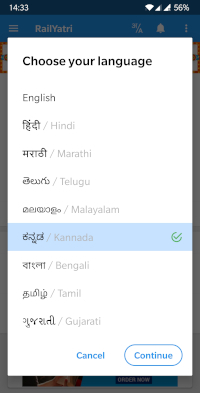 You can simply choose your preferred language and view every button, field name, sections, etc. in that language. We’ve already translated most of the popular sections, and we continue to translate more every-day. You can simply pick your preferred language right from the start and change it as per your convenience. 2) Choose your preferred language and click ‘Continue’. It’s done! 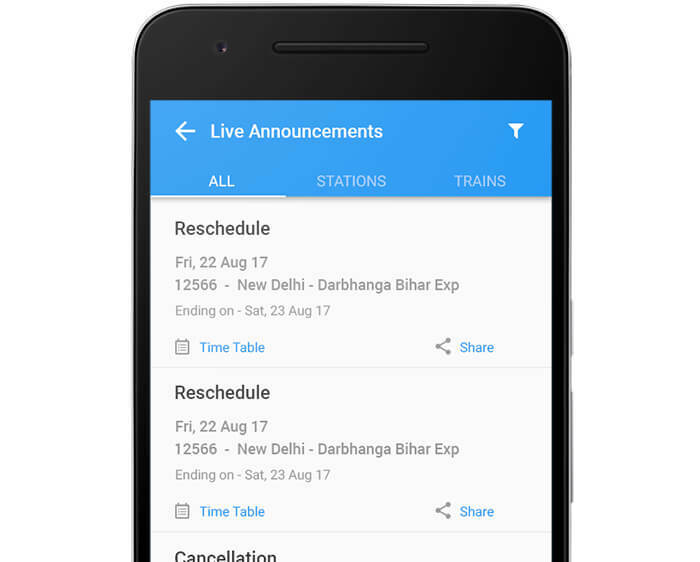 With ever increasing number of RailYatri patrons, it’s important to us that they can use their favourite app in their preferred language. This will not just help them make well-informed choices pertaining to their trips, but also manage their security online. “Of the 100 travellers who book a train ticket every day, 70 get waitlisted, unconfirmed tickets. The question for us when we started was, what were we going to do about it? 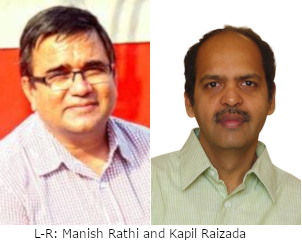 Selling them a train ticket wasn’t good enough,” says Manish Rathi, Co-Founder, RailYatri. “Discovering solutions to many traveller challenges such as these became the genesis of RailYatri,” he adds. 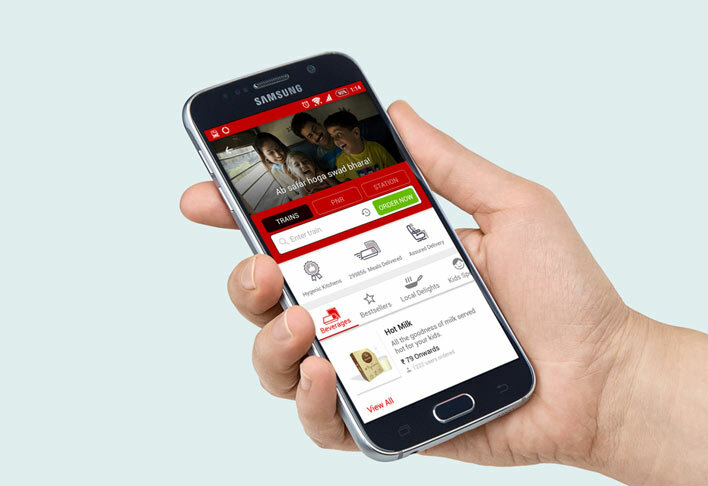 “We were initially unsure if our travellers from remote towns would be willing to pay RailYatri online using their mobile phones, but the response over the last 18 months has been exhilarating. 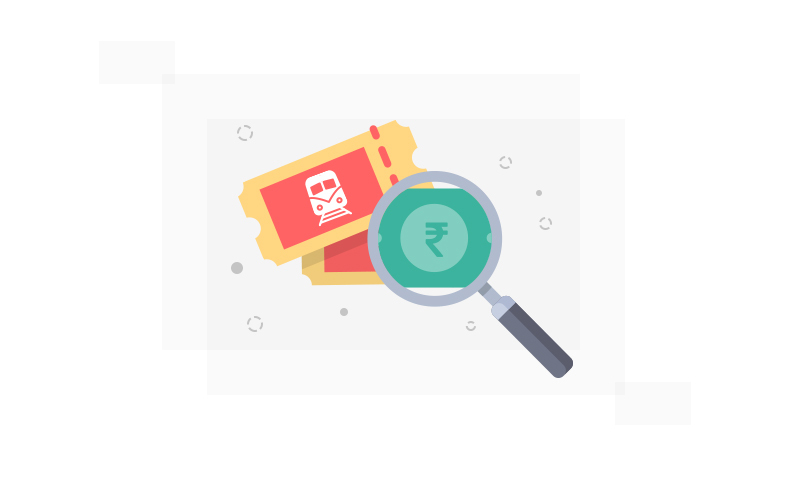 We started at a near zero base and are currently on track to hit half-a-million payment transactions on our platform, with an average ticket size of nearly Rs 600…”, says Manish Rathi. 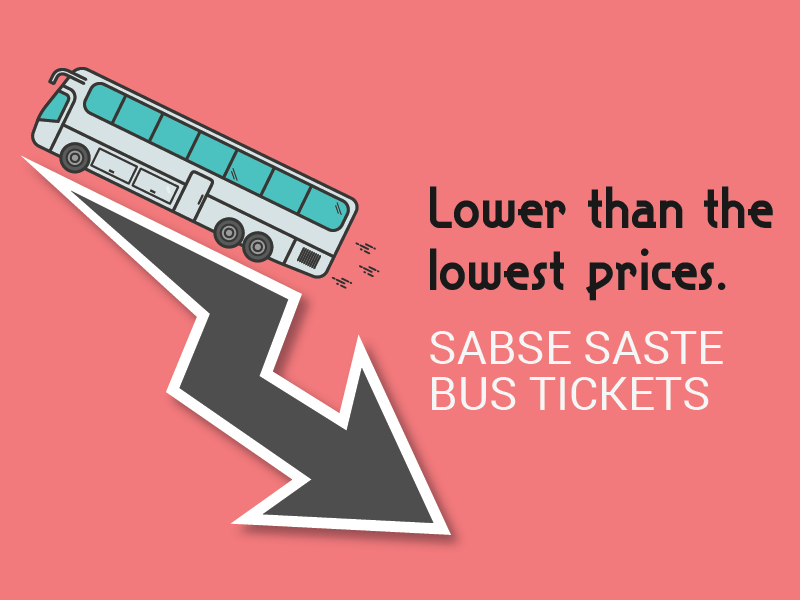 Lower than the lowest prices on bus tickets! 1. 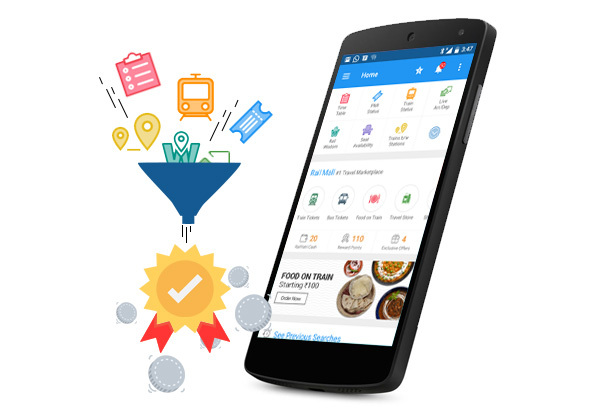 Discount coupons – There is always maximum discount available, as compared to any other app. 2. Lower than the lowest – If you are lucky, you can find a seat that also has lower than lowest price. This discount can be clubbed, along with all other running discounts. Wohoo, now that is some BIG discount! …This sounds too good, what’s the catch? There is no catch. However, to keep our information fresh we request our users to share bus / seat feedback which helps us to promote high quality buses and reduce costs. So do share bus feedback for your trip! 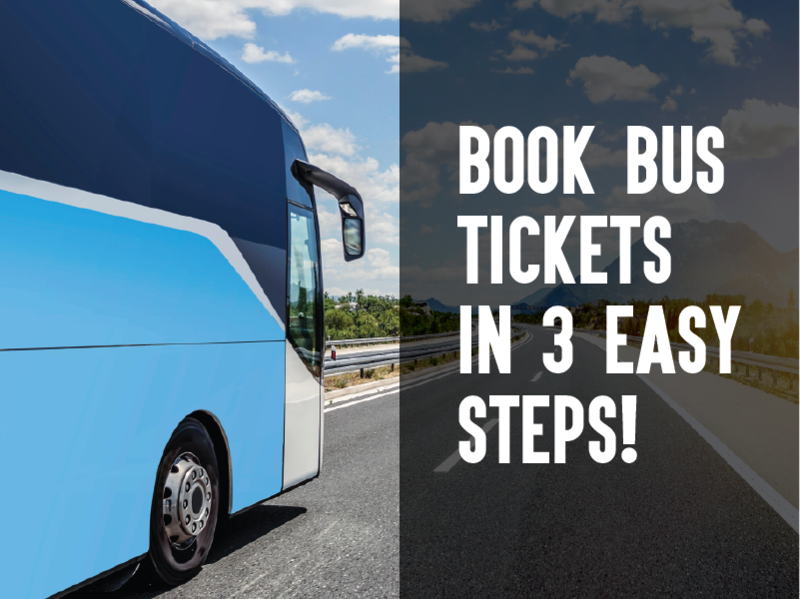 Quickly Book bus tickets in 3 easy steps! Step 2) Clicking on this card, would take you to review screen. Which would have all your data pre-filled. Verify the details! Step 3) Pay for your ticket – best available discount being applied automatically. You don’t see this card – here’s why? This card is based on your journey in the app, your booking pattern & searches within the app. It learns based on your interactions with the app, so if you aren’t seeing one, it means you need to come visit us soon! We take your feedback very seriously! In December 2017, we have de-listed 32 Bus Operators after validating customer complaints. 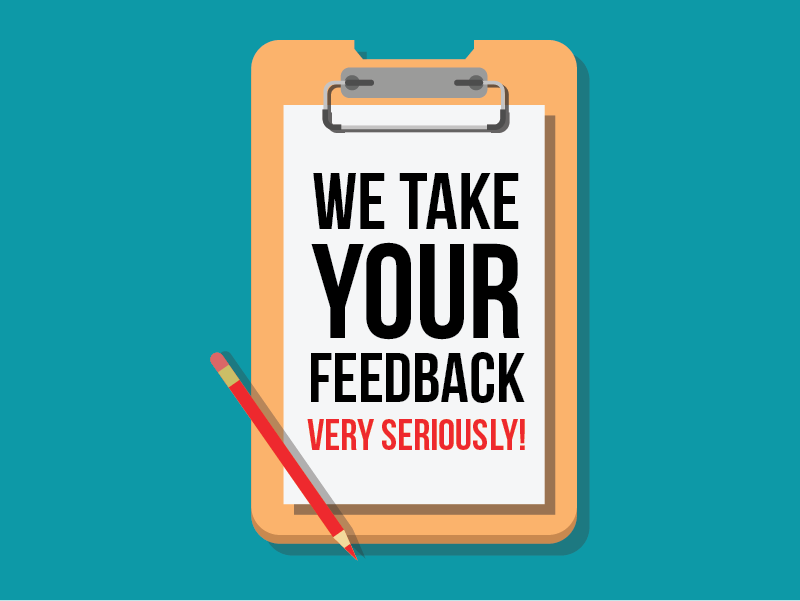 We understand how valuable your feedbacks are, our goal is to simplify travel and your inputs have continuously helped us to make fellow Railyatri’s travel easier. Keep writing to us at bussupport@railyatri.in with your valuable feedbacks & suggestions. Delightfully Low Prices. No Minimum Order Sizes! Yes, you read that right! 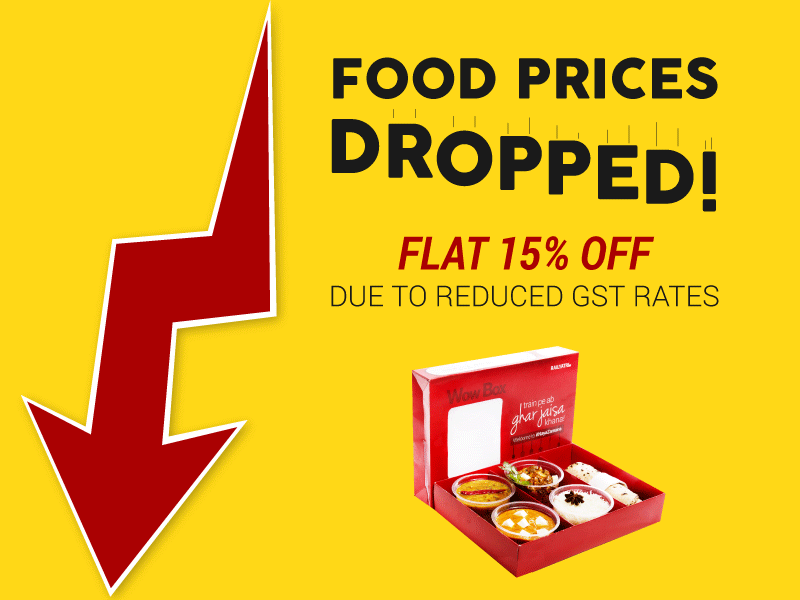 After the revised GST prices, our food prices have fallen. 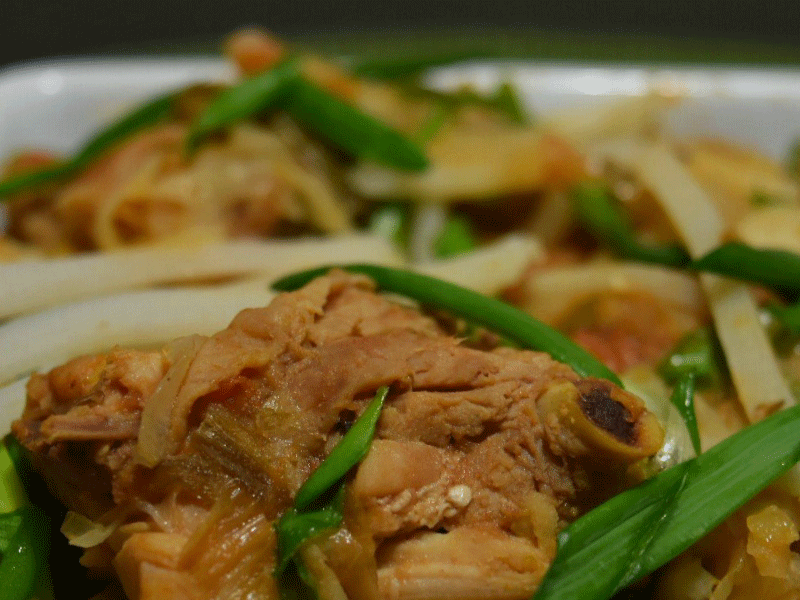 You can now order as much food as you like at delightfully low prices. Not just that, if you wish to order just beverages, or may be a sweet, please go ahead and do that! We have no minimum order size. 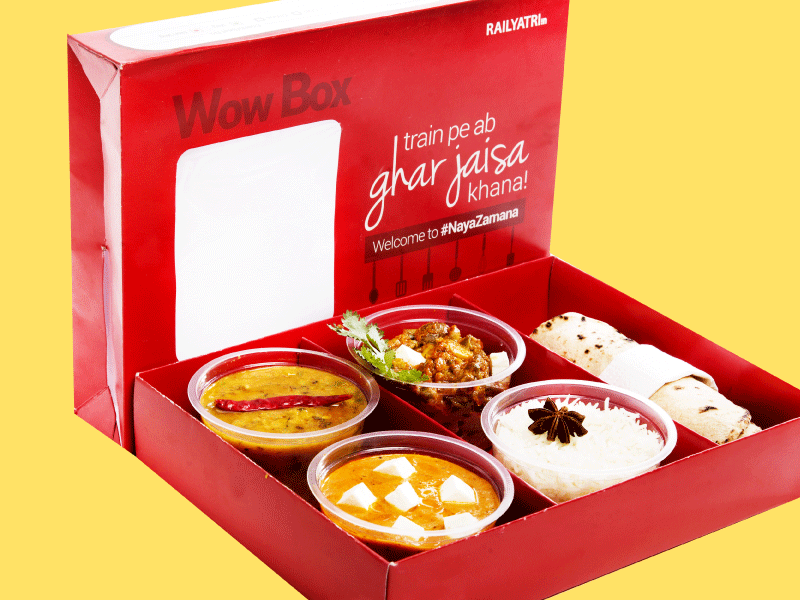 All this and more only to make your train journeys yummier than the yummiest! 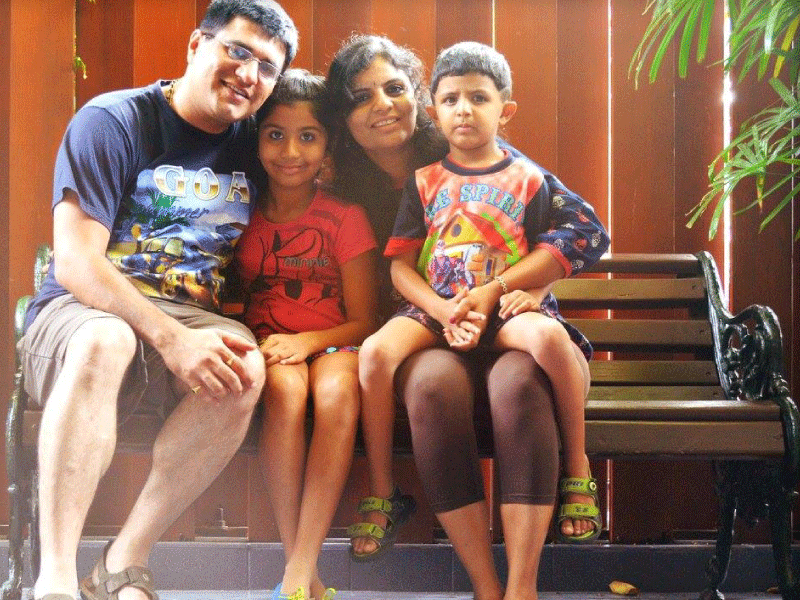 When a mother’s train journey became joyful! Little babies are our big priority. 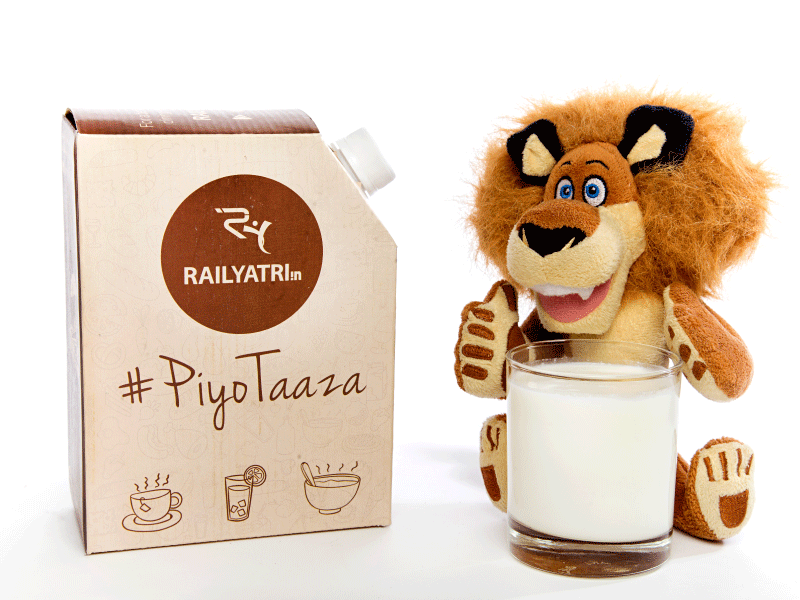 RailYatri cares for your little ones so we have launched a special delivery of hot & fresh milk on train. We deliver milk in hygienically sealed packaging and ensure the highest health standards for you and your family. You can order a carton of milk from our App and it will be delivered right on your seat. We promise to give every little one a tummy full of happiness. Now that’s a real smart idea for train travelers. 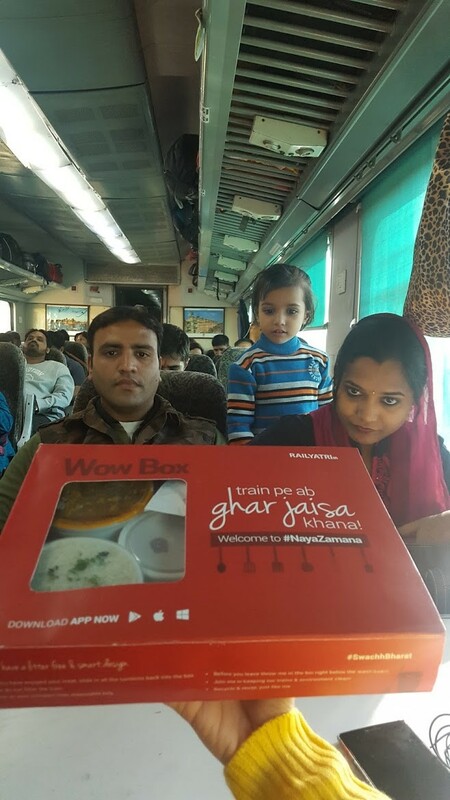 Recently on my train journey to Bhopal I tried the WOW BOX, a food box that is so compact that it just fits into your lap, it is also easy to eat from. I had ordered a Veg Thali and unlike my past experiences the dal had not mixed into the sabji and the curd had not jumped into the salad. 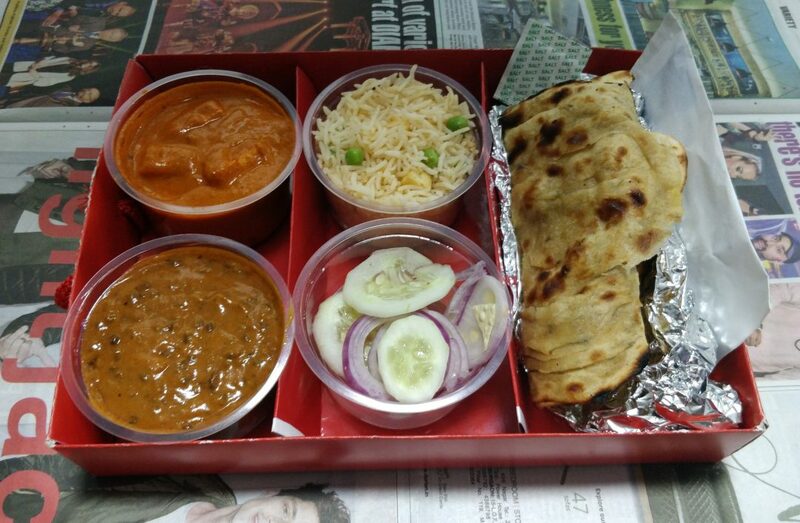 Everything was compartmentalized and my Thali also had a wet wipe and cutlery. 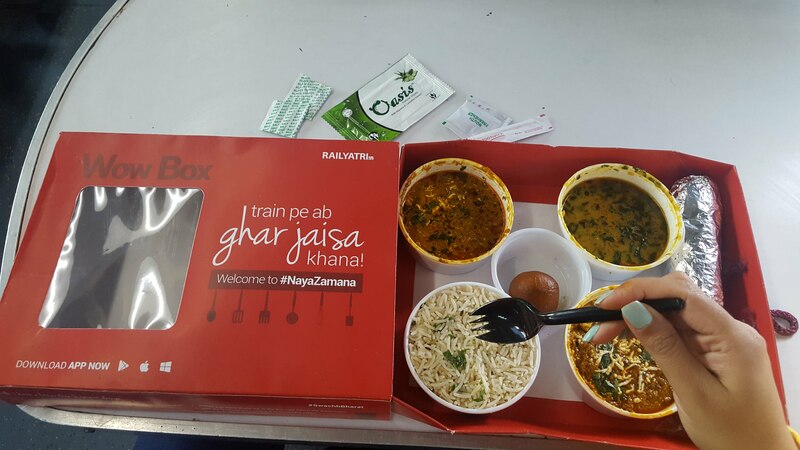 Loved this innovation from RailYatri. 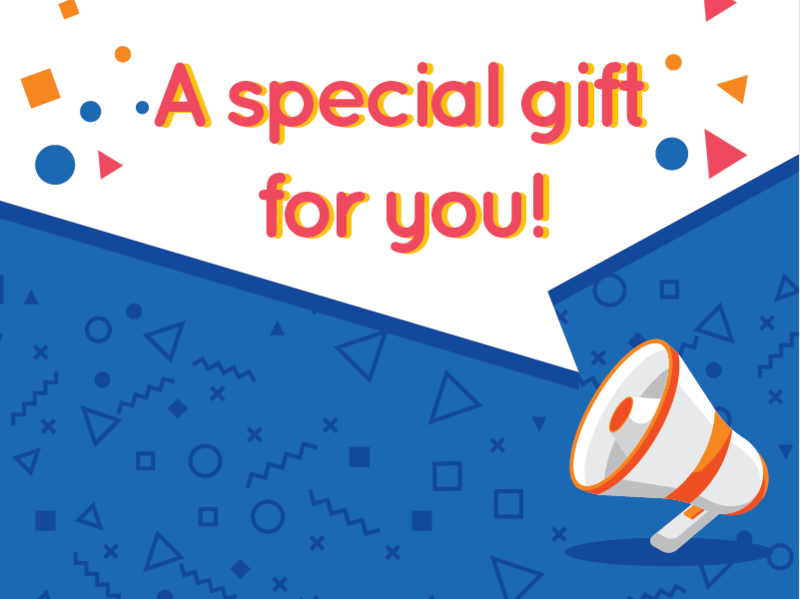 Hey users, we have a special gift for you! 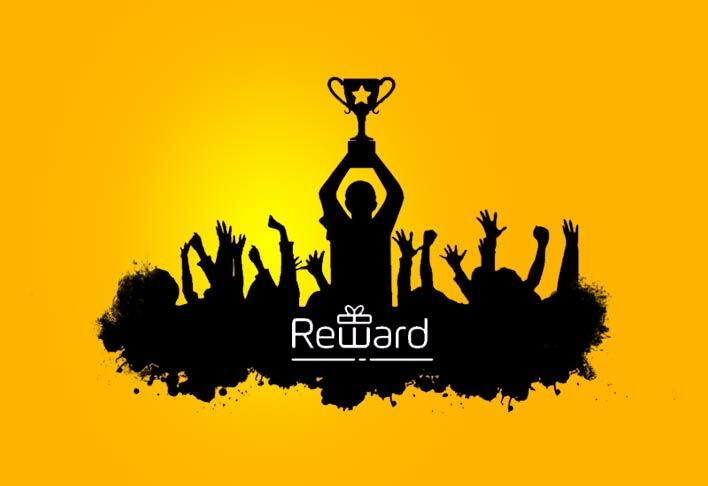 Get flat Rs 100 Discount + 100 Rs Cashback in RY Wallet. We have now made booking a train ticket much easier for you. When you search the tickets availability (from Seat Availability feature in the app) – you can simply select the train you are interested you are booking and click on “Book Tickets”. When you get connected to the Agent for the booking – he/she would be aware of the tickets you are interested in and would proceed immediately to book. Our job is more fun when we can help! The email messages below says it all! If playing some “cruel” pranks on your dear ones is your idea for having great fun this summer vacation, we have just added some very cool pranks related products in our travel store. Check them out. Go crazy because summer is here. Stay cool though! 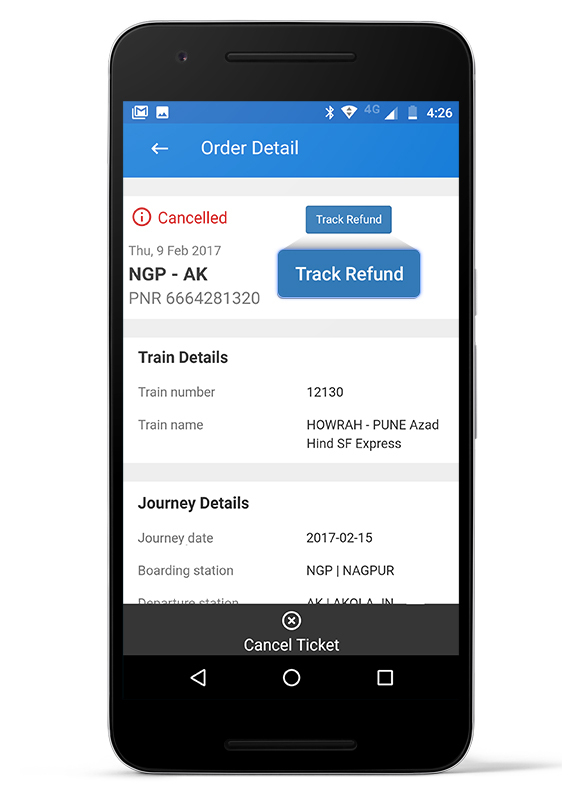 Now track your train ticket refunds through your app. We understand the need to cancel your train tickets because plans do change! 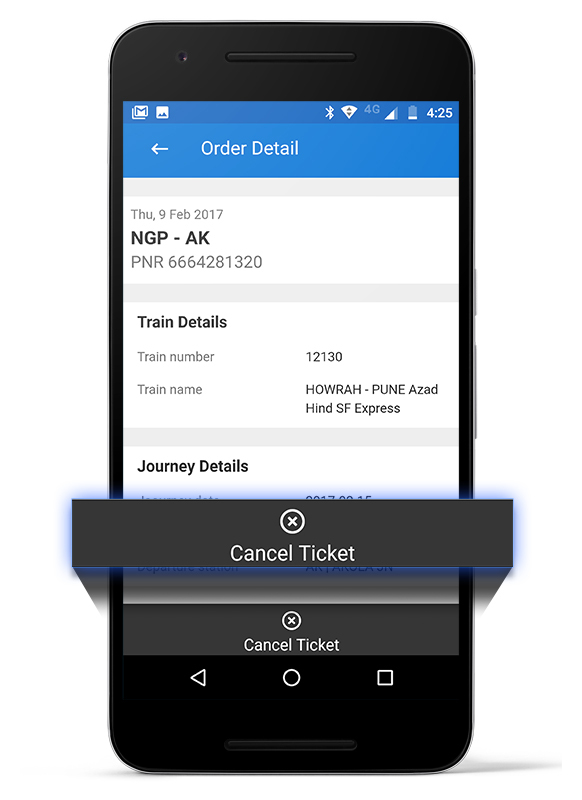 So we made all the efforts in the app and at the backend to make train ticket cancellation a one click process. Just go to your “My Orders” section on the app. Select the train ticket you would like to cancel (Order Detail). And click on the cancellation button. (Figure 1) Thats it! We will take care of it after that. “Arre bhai, refund ka kya?” you may ask! Well, we have made tracking of that easy too. 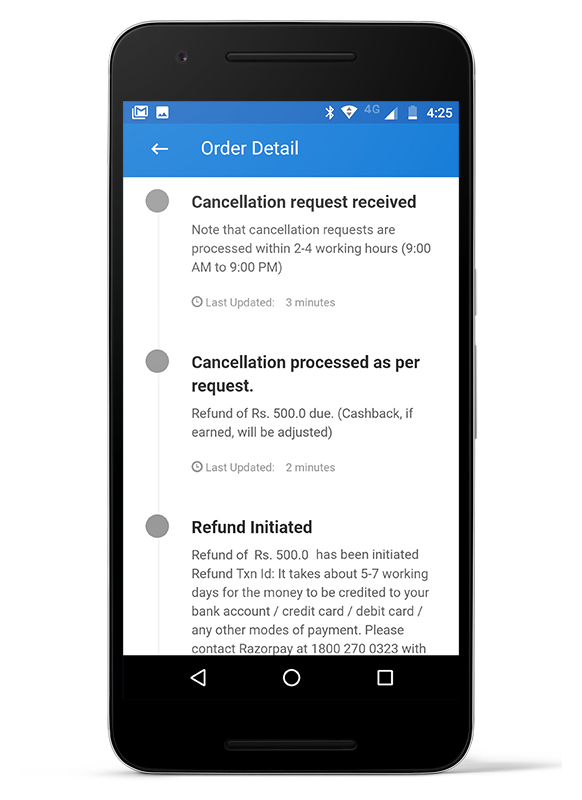 Simply track the refund updates agavinst the PNR from your app. (Figure 2). Where to find Railway Announcements? 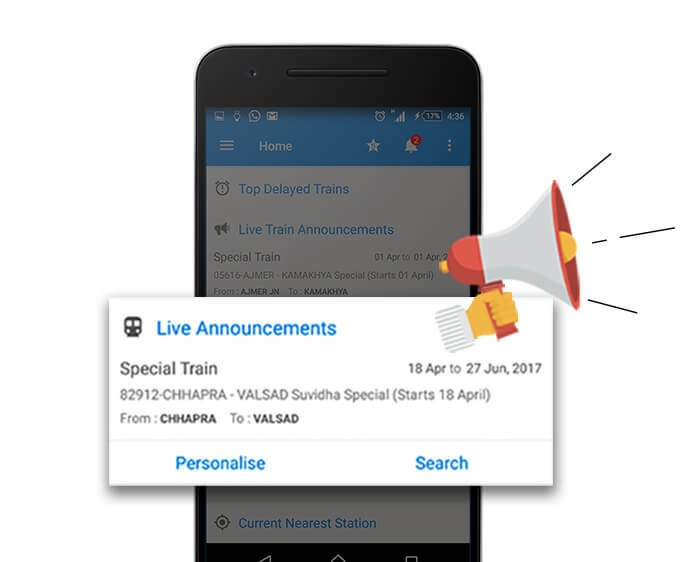 Few of our users have wrote to us if we had all the trains related announcements in RailYatri app and if yes, where can they find them? Good news – we have it! Figure 2: All announcements, nicely organized! 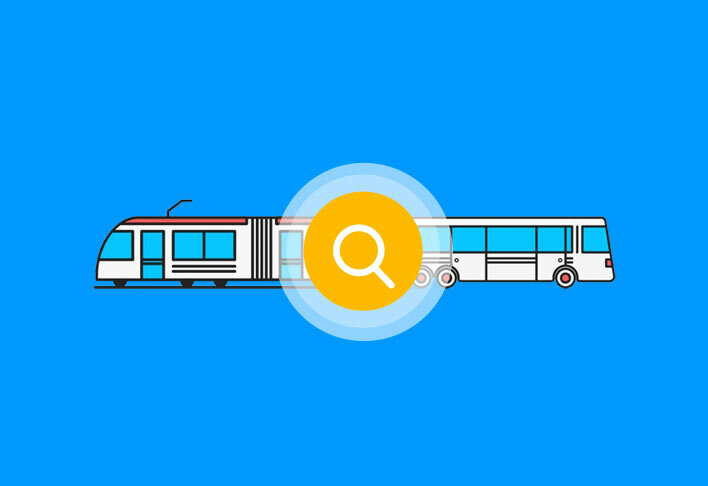 You can infact search based on your train or your station too. Still not clear? Just write to us. Check out for cool new interface for food ordering! 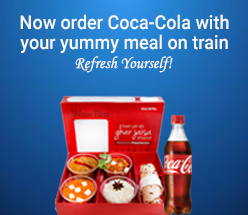 Dear RailYatris – we are doing a lots of new things to enhance your experience while ordering food for your next train journey. We just launched a cool new interface for ordering food. Check it out! 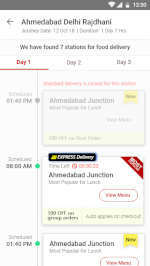 The new design is focused towards making search much easier, easy preview of food items which can be delivered across the country and traveler feedback. There are somethings we won’t be able to help you with! Many of you write to us every single day. We love reading your emails. A good percentage of you make us feel proud of what we are doing at RailYatri. Some of you also remind us that we need to do lot better to match your expectations. And then there are always some where you make us feel part of you. Below is one such email! 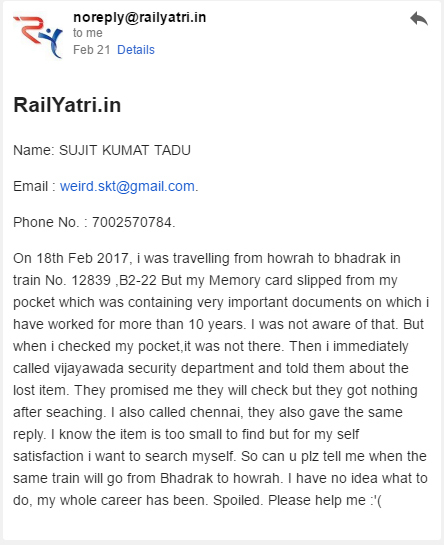 As much as our heart breaks out when we receive emails as below, there are always some things where we find ourselves very short in helping train travelers. This is just that one example. You want to travel, bas! Right? 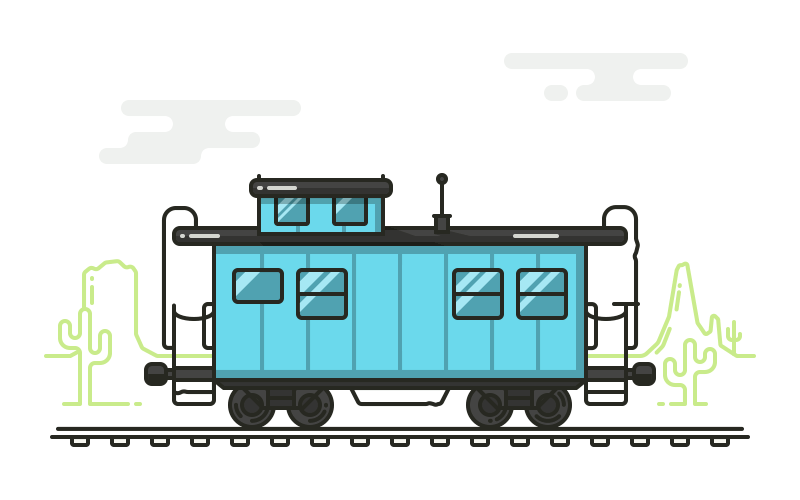 Trains might be your choice but Bus could be your safe bet. So that is why we have now integrated both the trains and bus search together. So when you search for trains between stations, you will now also see the list of buses between the cities of the two stations. Just toggle and compare. After all RailYatri is all about simplifying travel in India! We will reward you if we go wrong in your PNR confirmation probability. 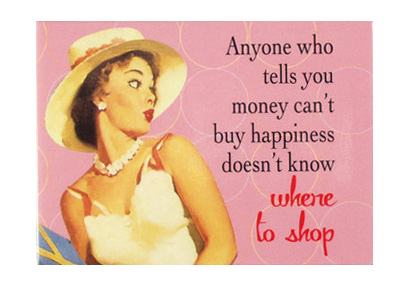 We know how important this is to you! 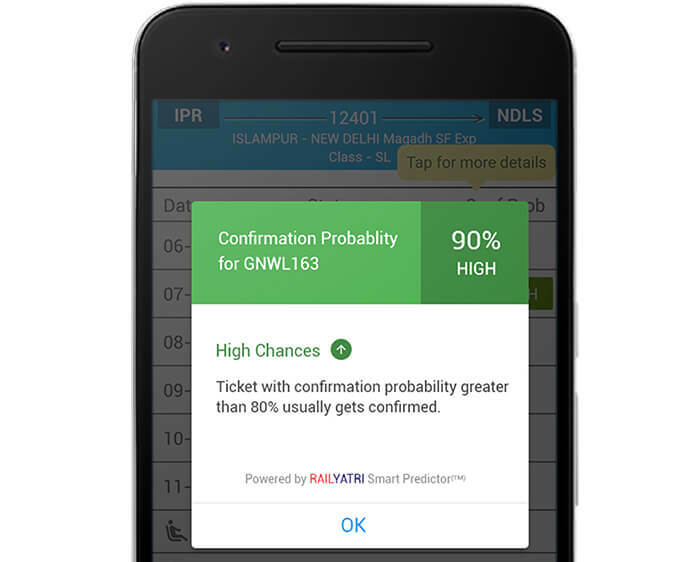 But all the variability, randomness and seasonality in the system – to make smart guess whether a particular train ticket in wait list can get confirmed aka PNR Confirmation Probability is a tough but very important problem to crack. It is important because it can bring in huge amount of savings from time, cost and anxiety perspective. So we got ourselves working on getting the PNR ticket confirmation probability right over the last few years. Bunch of very smart data scientists and engineers with fantastic background took the help of some smart technology and mathematical techniques to extrapolate the future. Techniques such as correlation methods, ANOVA, and touch of stochastic methods have been made to work. The result – we are now able to make respectable 93-94% predictions right. And for the ones which go wrong – we analyze each of them. Each of this failure makes our prediction algorithm smarter (thats AI in work). Infact going forward we are going to put 20 points to the users for whom we failed. We believe that we owe these points to them for two reasons – one for the inconvenience which could have been caused for the wrong prediction and second for thanking them in their contribution to make us smarter. We love your loyalty to traveling by Trains in India! We appreciate it because you do that despite all the hassles! Tickets in Wait list, late running train and also sometimes with the dhakka-mukki! 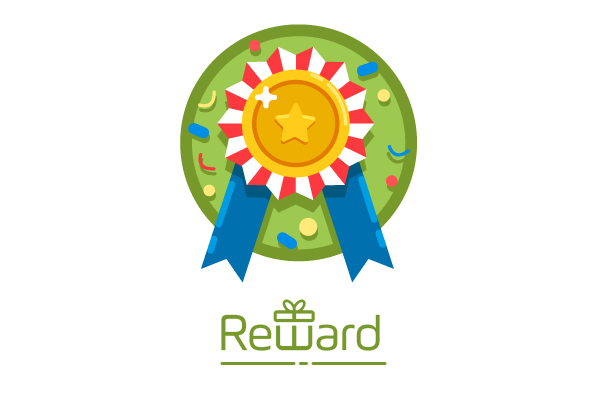 And now – what can you do with your points? We are gathering a collection of some amazing products in our Travel Store (see Figure 2) at some great unbeatable prices. Now on top of those guaranteed low prices, you can use your points to get additional discounts. Discount ke upar Discount! 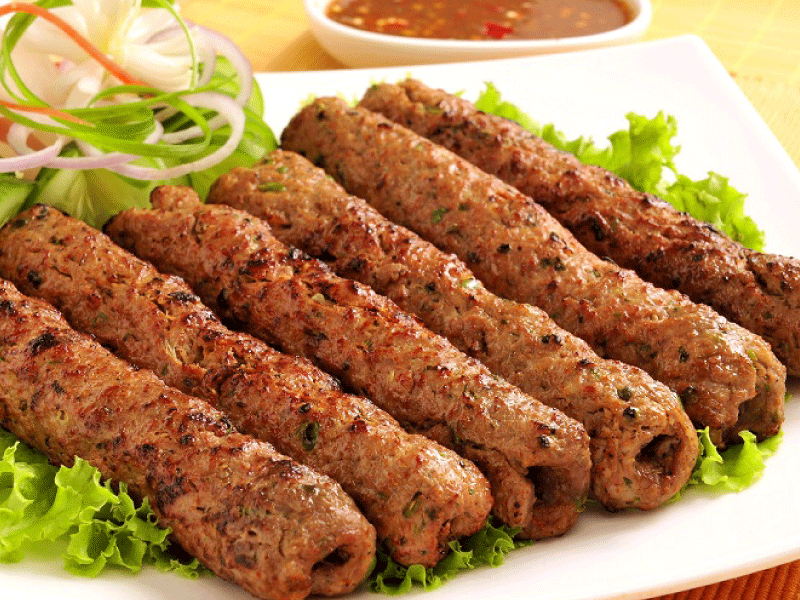 Are we hearing you saying – “Uppar wala jab deta hai, too chappar phad kar deta hai“! 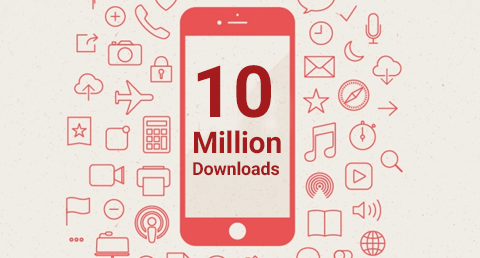 We are happy to announce that RailYatri app has just crossed its 1 crore downloads and that too in a short span of two years. The journey of RailYatri started two years back when a handful of technology experts got together to remove the information black-box that shrouds information related to train travelling in India. RailYatri stepped in to tackle worries of its railway passengers and since then it has always aimed to be the capable train travel advisor helping passengers make informed decisions. 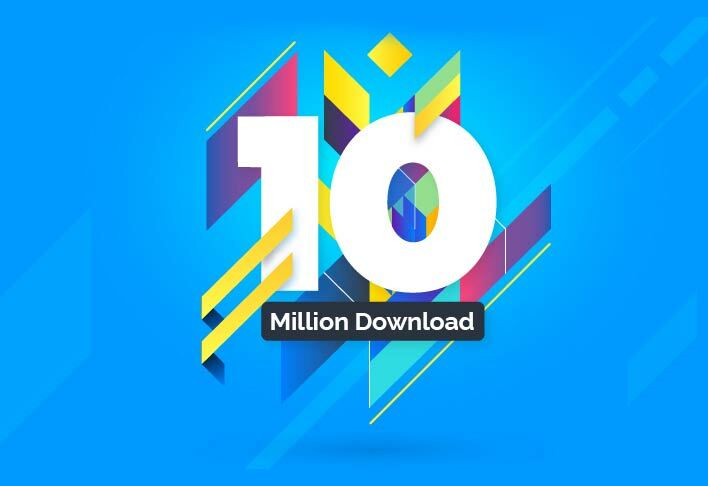 Its this innovative approach that has gained the trust of users throughout the country and has added another golden feather to its cap – 1 crore downloads. We are endlessly committed towards better experiences of train travellers thus keeping up with the expectations of our users.